Scouring the Internet for a travel insurance provider? 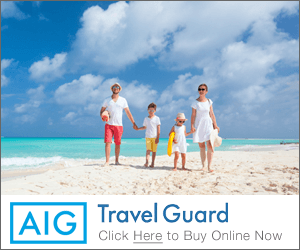 Chances are, you’ve come across AIG Travel Insurance or AIG Travel Guard®, which offers flexible, reliable and thorough coverage for a wide range of needs and preferences. 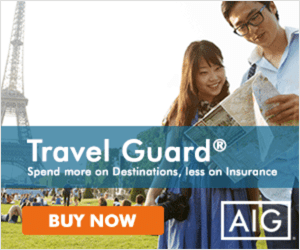 Why You Should Consider AIG Travel Guard®? Firstly, it’s an international reliable and trusted brand that offers probably the most comprehensive travel insurance coverage in Singapore. 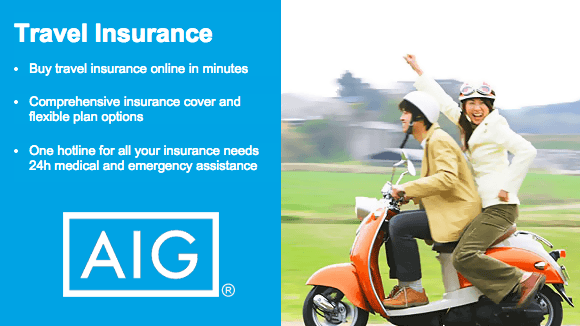 AIG Travel Insurance in Singapore is known for its generous medical coverage – its premiums cover medical expenses incurred overseas (ranging from $200,000 to $2.5 million), post-trip medical expenses incurred in Singapore for an injury sustained while in Overseas (ranging from $10,000 to $50,000). Furthermore, it is one of the few insurers to offer coverage for direct repatriation due to a pre-existing medical condition and loss of sporting equipment. AIG is also particularly generous in its personal baggage claims, for items such as laptop computers and jewelry, which are misplaced or stolen overseas, can be reimbursed up to $1,000 each. What are the Premiums like? AIG’s premiums, however, are generally higher than other companies’, owing to their extensive coverage policy. Rates begin at S$26 (for a Classic plan, to a Zone 1 country), and a Premier plan in a Zone 3 country can cost S$265. To get the best Singapore’s travel protection, get the right travel insurance cover for yourself and your family, Get a Quote NOW!